South Africa boasts the largest private security sector in the entire world, reflecting deep anxieties about violence, security, and governance. Twilight Policing is an ethnographic study of the daily policing practices of armed response officers—a specific type of private security officer—and their interactions with citizens and the state police in Durban, South Africa. This book shows how their policing practices simultaneously undermine and support the state, resulting in actions that are neither public nor private, but something in between, something “twilight.” Their performances of security are also punitive, disciplinary, and exclusionary, and they work to reinforce post-apartheid racial and economic inequalities. Ultimately, Twilight Policing helps to illuminate how citizens survive volatile conditions and to whom they assign the authority to guide them in the process. 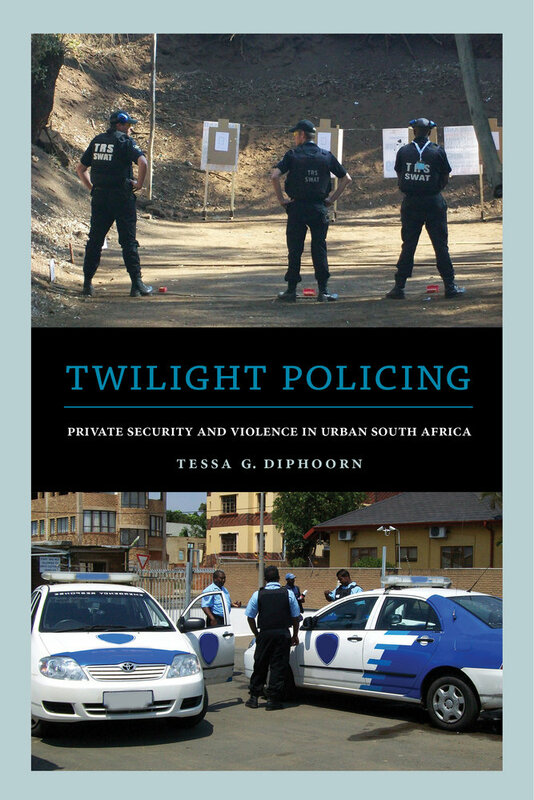 Tessa G. Diphoorn has done extensive research on private security in South Africa, and more recently also in Kenya, Jamaica, and Israel. She is currently Assistant Professor at the Department of Cultural Anthropology at Utrecht University.